Pistols and Petticoats Is Out! 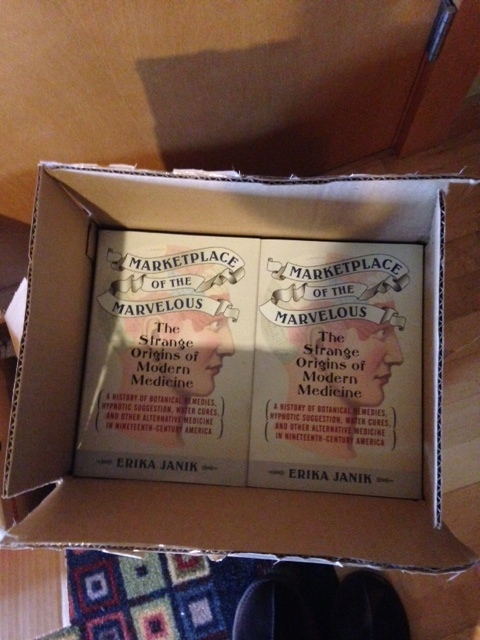 My new book, Pistols and Petticoats: 175 Years of Lady Detectives in Fact and Fiction, came out today! Find it in your local bookstore. If you don’t see it, ask for it to be ordered. Pistols and Petticoats explores the struggles women have faced in law enforcement and in mystery fiction since the late nineteenth century. Working in a profession considered to be strictly a man’s domain, investigating women were nearly always at odds with society. These sleuths and detectives refused to let that stop them, and paved the way to a modern professional life for women on the force and in popular culture. Read more about the book and how it came to be here. And see photos from the book along with an introduction from me in this awesome slideshow on Time. My husband lifted two boxes inside the front door when he came from work on Friday. “Something for you,” he said. My mom had warned that she’d sent presents and not to open them so I paid little attention to the boxes and left them sitting by the door. Until the next morning when I happened to glance at the return address, fully expecting to see my mom’s name but instead saw: Beacon. The official publication date isn’t until January 7 but here’s some visual proof that this thing is real. At this time last year, I was tearing my hair out finishing the draft, rewriting, deleting, questioning everything, undoing that previous deletion, writing, deleting, repeat. Repeat. This year is much better.